Mercenary Thorn Gun Mages: BANG BANG BANG! 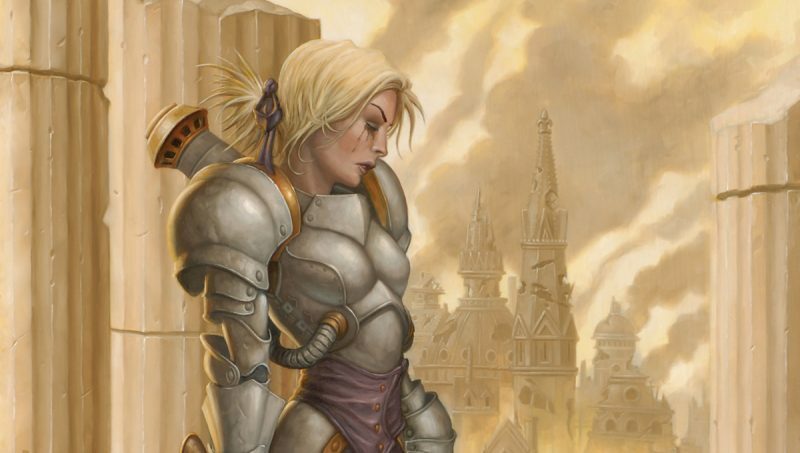 Check out the new Mercenary unit that works for Cygnar and Menoth. Magic guns coming at you! 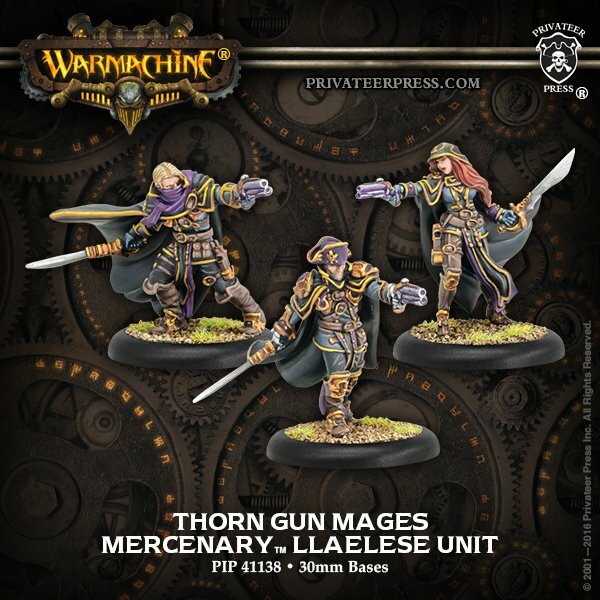 The Thorn Gun Mages are a new merc unit. It consists of 3 models with 1 life each. They have magic guns and have useful shots that mercenaries and menoth can get a lot out of. The unit is FA:2 and cost 9 points. What do Thorn Gun Mages Do? The Thorn Gun Mages are pretty similar to cygnar arcane tempest gun mages. They are both SPD6 RAT7 DEF14 ARM11 with magic RNG10 rune pistols. 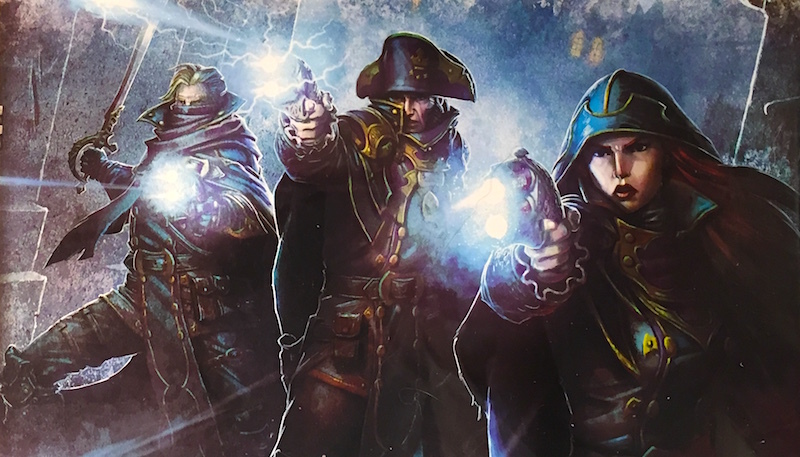 The thorn gun mages are toting double pistols similar to Ryan from the Black 13th. Not worth mentioning but, they have a POW7 melee weapon. Suprisingly they only have 1 box of life. The guns they are toting around are pretty effective. Argueably more effective then their Cygnar counterparts. Prowl: Useful if you can find some terrain close to the action. Black Penny: Useful for clearing off jamming models on your heavies. Incendiary: POW10 by themselves will not likely kill solos but, set them on fire and you can get another shot at dropping them. Thunderbolt: A Gunmage staple, amazing for scenarios and preventing slower heavies from reaching you. Also can be used to knockdown if you have spells like deadeye or dice fixing feats. The bread and butter of the Thorn Gun Mages is their Both Barrels ability. This sacrifices the 2nd shot for a boost in POW. POW14 shots can threaten damage on most heavies and you can still use the special shots. The Thorn gun mages can get a lot done with all the casters available to them. In Menoth Malekus the Burning Truth likes these guys a whole bunch. His feat gives an additional dice to fire damage and this will work since there is no faction requirement. Ashylnn likes the gun mages with her feat which can all but guaranteed a thunderbolt knockdown. Damiano can also increase the chances of thunderbolt knockdowns with his spell Deadeye. Major Harrison Gibs gives the Thorn gun mages reposition 3″ which can keep them out of harms way longer. Rhupert can give the Thorn concealment through his dirge of mist ability which works with the Prowl rule they have. Magnus1 can give them snipe to threaten 20″ with the POW 14 both barrel ability which will keep them out of harms way! In Cygnar these guys will have trouble finding a home. They are pricey and fragile unit which ISN’T faction and Murdoch has better units to attach to. In Menoth they might find a home with Malekus or some niche lists but, probably see won’t much play. In Mercs these guys are pretty decent. Lady Aiyana can boost the damage output of the both barrels to 16 which is pretty respectable and they are faction so many of the spells and buffs will work without having to attach an expensive UA to an already pricey unit. They are a niche unit, but at 9 points they might not do enough for the price. I was disappointed to see that they did not have 5 boxes of life each. I realize they are not a character unit but, at that price I don’t see them seeing the field a lot. ~What do you think of these new gunslingers? Please share in the comments below.